I only use products from brands I trust will stand up to time. I’ve researched quite a few options out there, and chose the ones I did because they are durable, modular, and they look nice—you can’t beat the value. This has allowed me to make my customers very happy. I wouldn’t work with them I didn’t 100% feel these products can turn any garage, new or old, into a source of tremendous pride. 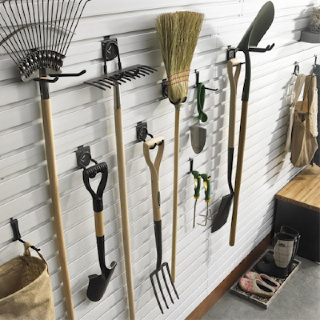 Incredibly versatile and extremely durable. 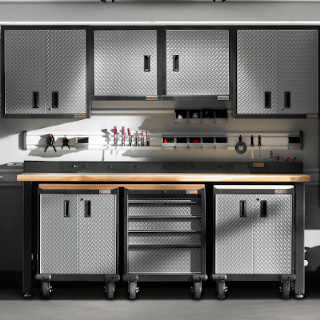 Gladiator work benches come in two sizes with options for castors, to easily move them off the wall when you’re working or stow them away when you’re not. 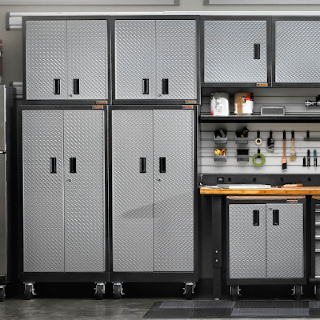 With tool chests that fit neatly underneath, also with castors for maximum convenience.